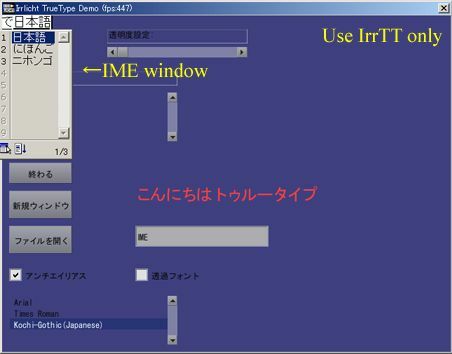 This is an unofficial Irrlicht 3D engine 1.7.1 for multilingual. The FreeType2 library is necessary for building this patch. 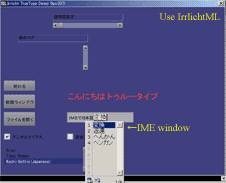 Get the latest source from the FreeType2 official site. Build FreeType2 lib. For Visual Stusio 2005 - 2010, see below. Overwrite files in /irrlicht-1.7.1 to an official folder. On the other way, if you are code guru, use GNU pathes from 1 sequentially. O.K. Let's build. That's all! 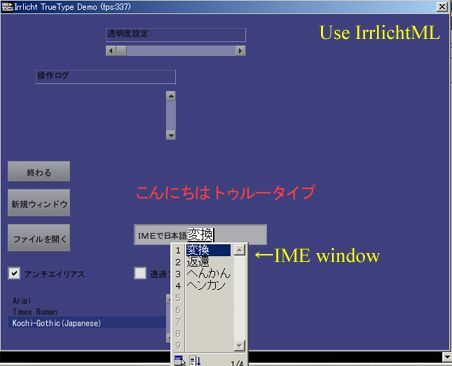 The Irrlicht Multilingual license conforms to Irrlicht(like zlib/libpng) and FreeType2 license(FTL). Many many contributors provided codes to this project. Thank you all.